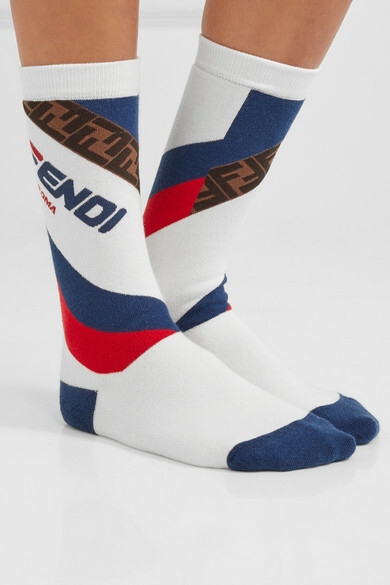 Fendi's new capsule might be inspired by activewear giant Fila, but that doesn't mean these socks should only be paired with sneakers. 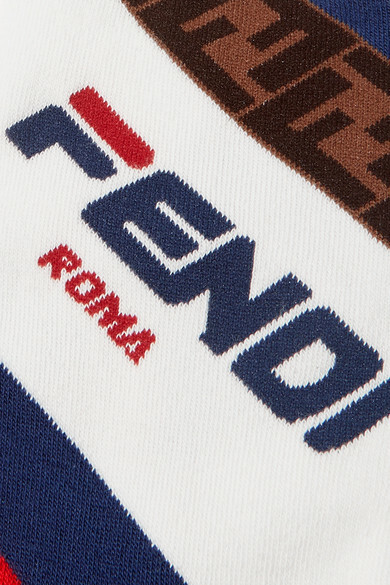 Made in Italy from cotton-blend that's ribbed for a close fit, it's detailed with stripes and the house's iconic 'Zucca' intarsia. Show yours off with slides when you head out for brunch. 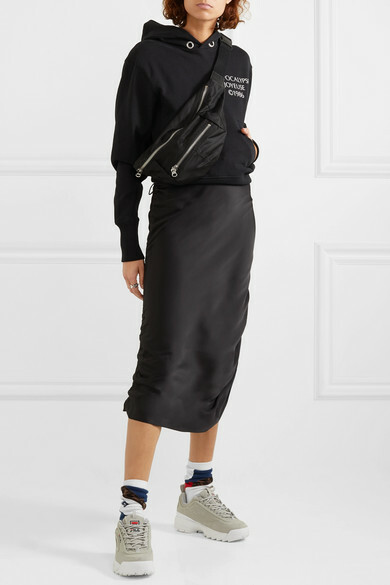 Shown here with: Orseund Iris Dress, Helmut Lang Hoodie, Isabel Marant Belt bag, FILA Sneakers, Jennifer Fisher Ring.